ORLANDO – In their own very unique ways, Orlando Magic coach Steve Clifford and standout forward Aaron Gordon have studied the psychology of basketball winners all the way down to their mannerisms, thought processes and detailed preparation techniques. Day by day, Clifford and Gordon are trying to impart the wisdom that they have picked up along their distinctly different paths through the basketball world. Clifford, a veteran of 19 NBA seasons, naturally looks at things through the lens of coaching, while Gordon, 23, is constantly pursuing knowledge and tactics that will make him a complete and successful player. Clifford and Gordon are hopeful that, in time, they will be able to play major roles in helping the Magic change their culture and make the franchise a consistent contender again. While the Magic (4-7) have made some significant strides this season, winning in difficult environs such as Boston and San Antonio, there are still head-scratching nights like Wednesday when the squad stumbles and undermines the progress made. As the Magic head into Friday’s home showdown against the similarly struggling Washington Wizards (2-8), Clifford has mentioned the need for his team to raise its expectations and demand more of itself. Gordon, meanwhile, wants the squad to alter its thinking before games even tip off so that it can better set itself up for success. Clifford, who is in his first season as head coach of the Magic, felt the need to remind his team of the expectations in place for it on Wednesday after Orlando blew leads of 15 and 11 points and lost 103-96 to the Detroit Pistons. 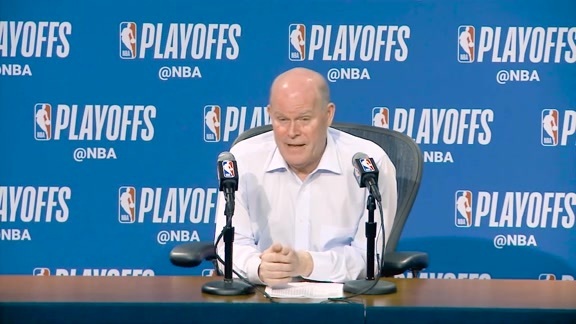 Orlando came into the night having won two games in a row for the first time all season, and Clifford impressed upon the squad the need to clean up the inconsistencies in its play so that it could simultaneously continue to improve and keep winning. The problem on Wednesday, however, was that the Magic were the antithesis of consistency in a game filled with wild runs. Whereas Orlando’s starting five dramatically outplayed Detroit’s star-studded starters, the Magic’s bench had little in the way of production, organization and grit. Four of the reserves (Jonathon Simmons, Terrence Ross, Jarell Martin and Jerian Grant) were at least a negative-20 in scoreboard production while on the floor and the fifth (rookie Mo Bamba) was a negative-16 in plus/minus ratio. Clifford challenged that group’s approach and readiness to play and is hopeful that it will respond on Friday when the Magic host Dwight Howard, John Wall and the Wizards. History tells Clifford that the Magic will likely play much better following a disappointing defeat. ``So far, we’ve done a really good job of (responding),’’ Clifford said. 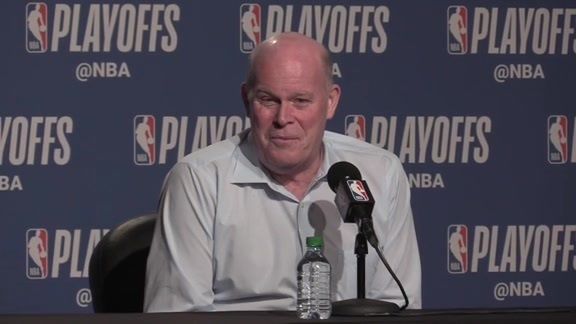 ``We played really poorly against Charlotte (in the second game of the season) and then we went to Philadelphia and could have won and went to Boston and won. The Clippers game was our worst game and we responded well to that in San Antonio and by coming home (and beating Cleveland). Clifford’s harsh words for the reserves immediately following Wednesday’s game hit close to home with Ross, Orlando’s most productive reserve all season. After a night when he scored 15 points, grabbed four rebounds and hit two 3-pointers, Ross organized a pre-practice meeting with the Magic’s reserves on Thursday and the group discussed the need to clean up the errors from Wednesday. After Orlando had stormed ahead 31-16, a lineup of mostly reserves allowed Detroit to rip off a 17-0 burst. Later, the Magic’s starters made 12 of their first 16 shots of the second half to open up another 11-point bulge. However, that lead disappeared because of another 22-4 burst by Detroit’s second-line players. Ross is well aware that with the Magic in a particularly grueling stretch where they are playing eight games in 13 nights that reliable production from the reserves is as important as ever. Clifford has been through the drill many times before where segments of the team are playing well, and other areas are struggling. Since taking over in Orlando in late May, Clifford has worked to build personal relationships and he’s stressed to all of the players the importance of consistency – both in their play and their preparation. The son of a coach, someone who only ever dreamed of being a coach and a lifer who has dedicated himself to the craft, Clifford has studied ways to motivate players and improve teams. He’s learned from and worked alongside some of the greatest coaches in the game – experiences that have taught him the lesson of perspective in tough times for teams. Asked about a completely different aspect of coaching earlier in the week, Clifford relayed a story that would relate perfectly to what the Magic are going through currently with half of their team playing well and another half struggling. This gist of Clifford’s anecdote was this: Instead of worrying about everything, pick and choose the big stuff to focus on so the team as a whole can eventually benefit.